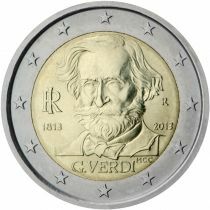 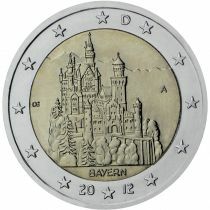 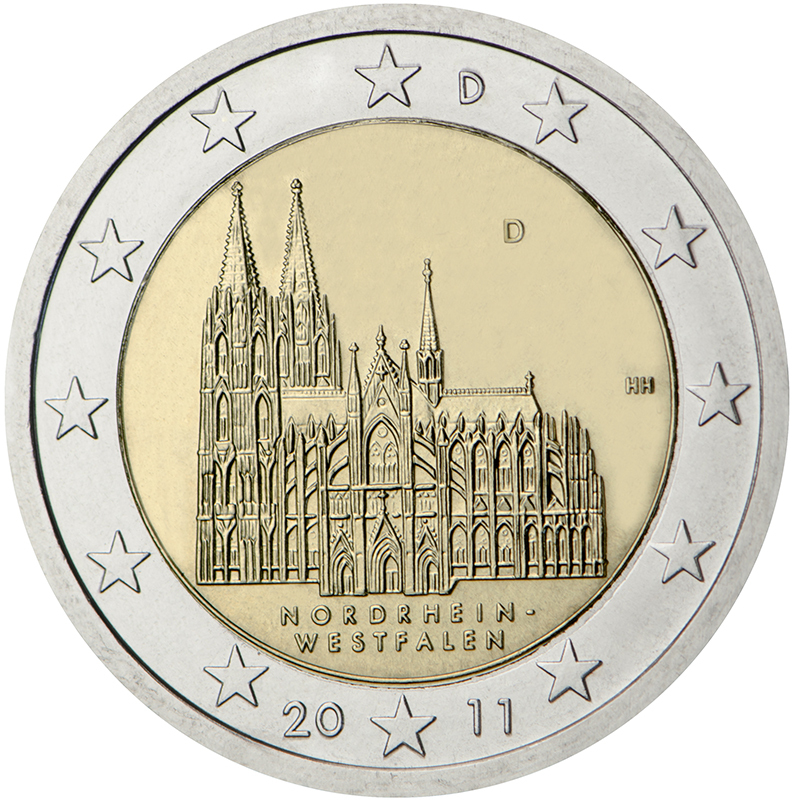 2€ Juhlaraha Saksa 2011 Kölner Dom. 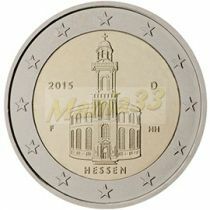 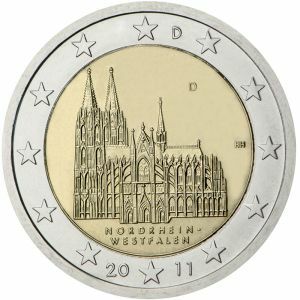 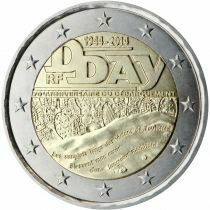 Description: The inner part of the coin features the Cologne Cathedral above the words “Nordrhein-Westfalen” to designate the German federal state of North Rhine-Westphalia in which it stands. 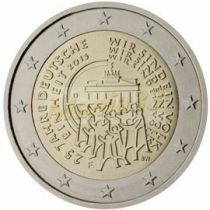 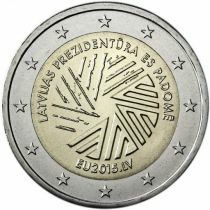 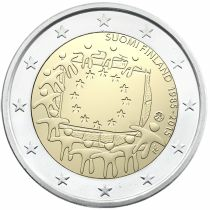 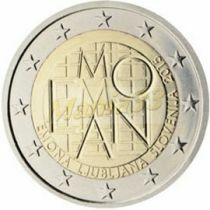 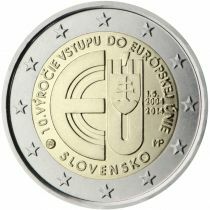 The 12 stars of the European Union are depicted on the outer ring, together with the year of issue, 2011, at the bottom.